When children play, they’re not wasting time. They’re learning about themselves and the world around them! Playtime is a child’s work. Through creative play, a child learns to interact with others. Creative playtime exercises the brain in so many ways, stimulating imagination and helping each child to develop more advanced thoughts and ideas. 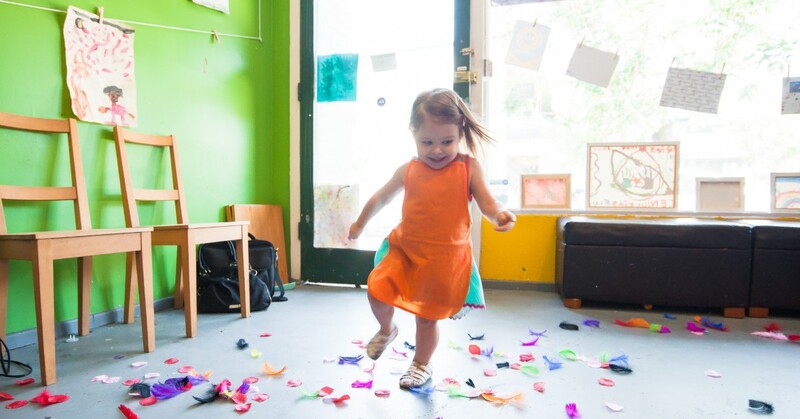 For any successful early childhood education setting, plenty of playtime (both structured and unstructured) is offered to children to help them interact with the world in a safe space and grow from those interactions. An early childhood education program encourages each child to explore and discover their own capabilities. In such a program, imagination is cultivated and creativity is encouraged. Constructive play does, indeed, support fundamental learning. Creativity forces three distinct networks to work together: the default network (responsible for our inactive mode), the executive network (our decision-making regions), and the salience network (which regulates our powers of observation). When the three distinct regions of our brains work together as a team, we become even more creative (so the creative process feeds itself while boosting brainpower). Creative people are seen to have smaller connections between the two brain hemispheres (the right and left brains), enabling these sides to communicate with each other better. Being creative, or even watching others engage in a creative pursuit, encourages analytical thinking and the formation of new ideas. Playing pretend increases the ability to imagine. These conclusions suggest a number of things. They support the idea that a creative child is able to learn how to problem-solve in many areas of life, along with the concept that anybody in any field (from medicine to acting, and from computer programming to being a sous chef) had to have enough time as a child to engage in playtime and creative pursuits in order to fully develop the analytical sides of their brains. Building imagination and boosting brain power are beautiful results of a creative curriculum. What are some other benefits? A creative mind is a naturally inquisitive one. Creativity fosters a desire to explore and to learn. In turn, this desire to venture into new areas of knowledge develops a child’s independence. It builds confidence as the child learns new skills that will be used to create, innovate, problem solve, and more. Incorporating plenty of opportunities to engage in creative pursuits into an early childhood education curriculum will serve a child well an entire lifetime! When a child is working on an art project, hand-eye coordination is required. There’s a thought process that goes into figuring out how to transfer an image onto any medium. Whether dabbing paint onto a canvas, building sculptures from connecting blocks, or creating something from clay, each child has to figure out how to use the mind and body to craft the vision that forms. It’s the same with music. If a child is learning to clap to a rhythm, to tap a drum to a beat, or to figure out the keys of a piano, a tremendous amount of hand-eye coordination is taking place. Singing, dancing, and simply listening to music all have numerous associated benefits, everything from memorization to coordination, and from relaxation to building confidence. In addition to art and music, there are so many other creative pursuits a child can engage in as part of a creative curriculum in an early childhood education program. There’s story time, where children’s imaginations are fueled through the vivid images their minds form as they listen. There are nature treasure hunts that can be held in the playground. There are short plays and skits that children can participate in. There are countless ways to be creative, and a good early childhood education curriculum strives to find new, creative ways to keep young minds growing! At Rainbow Chimes in Huntington, NY, our staff and administrators believe in providing a developmentally enriched, nurturing program that helps young children learn and grow. We provide engaging environments combined with an active learning approach that focuses not only on basic, age-appropriate knowledge, but also on creativity. In addition to providing care and classes for infants, toddlers, preschoolers, and pre-kindergartners, we offer all-day kindergarten and before- and after-school programs. Our curriculums incorporate a wide range of activities designed to build creativity, curiosity, learning, and self-confidence. To learn more about our programs and see if our Huntington, NY center is a good fit for your child, get in touch with Rainbow Chimes today. We will gladly help you schedule a tour so you can see what we’re all about. Reach out to us today!